At WarmlyYours we have been working with Home Depot since 2009 and we are proud to feature and offer exclusive products at Home Depot. 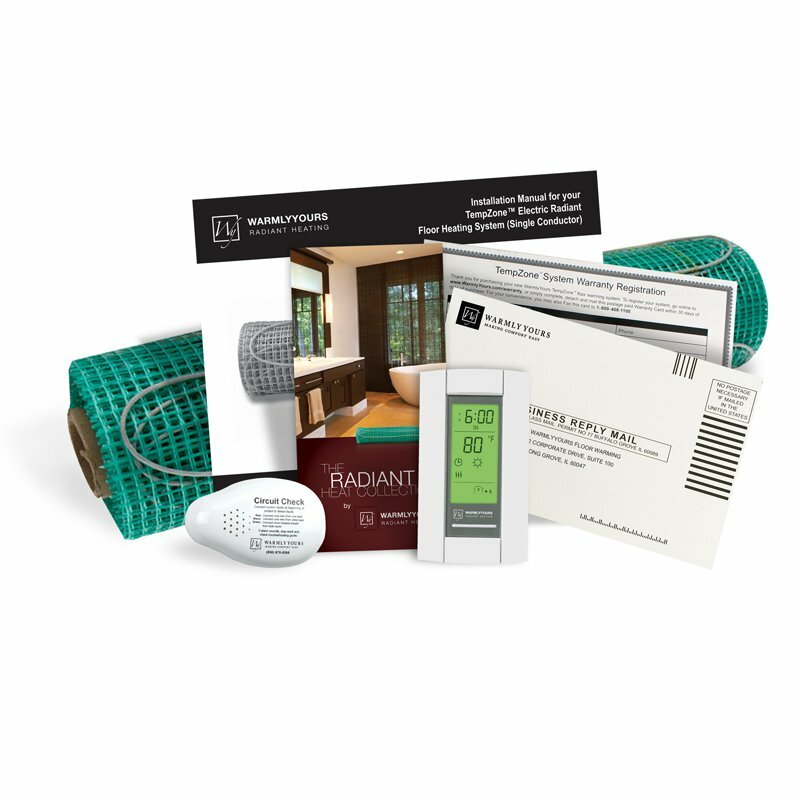 The TempZone™ Floor Warming Kits are an electric floor heating systems that can be installed easily under ceramic tile, natural stone, hardwood, wood, and other floor coverings. TempZone™ consists of a heating cable secured onto a green mesh fabric, the heating cable is placed in a serpentine loops always staying 2 inches apart to produce a even heat throughout the flooring area.